Interested a lot in playing Badminton? Well, that’s the reason you landed on this page. No matter if you’re a newbie or a professional, we have the Best Badminton Rackets for all of you. And everyone knows how important it is to use a perfect racket while playing. 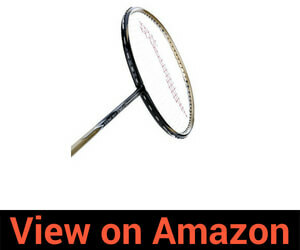 A professional and durable racket will help you play astonishingly. So, we have compiled a list of 10 best badminton rackets that you can buy. The Badminton Racquets that we have mentioned in the list are selected on the basis of reviews and personal experience from customers. We have separately mentioned the features, pros, and cons so as to provide you a clear-cut idea about the rackets. But after all, it depends on your preferences of use and the budget before you finalize to buy one. Therefore, read everything thoroughly and choose the best one for you. The body of Li-Ning G-Tek 70 is made of graphite and its shift is made from modulus graphite. The head is designed with aluminum, especially for high tension and medium flex. Being a light in weight and attractive in design, the racket feels impressive while playing. For the features & price Li-Ning G-Tek 70 II made it to the #1 Best Badminton Rackets list among the others. From one of the leading Badminton Racket manufacturing brands, Li-Ning Gfroce 3400i would suit with its amazing offerings. The racket is made from high carbon graphite. Decent rackets for newbie and intermediate players. From one of the leading brands in sports accessories, Yonex Voltric 1 DG Blue Strung would be the one you’re looking for. The racket is manufactured by keeping advanced players in mind. So, in case you are a beginner, it will take time to get used to it. Also, the weight of the racket is 85 grams that is not much suitable for beginners. Strung racket with head heavy balance. 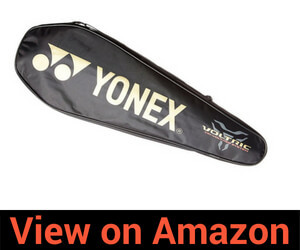 Yonex Voltric 10 DG is an awesome racket for intermediate and advanced players who prefer to play defensive. It has a stiff flex. Its frame and are made up of high elasticity carbon. The shape of the head is isometric. The body of this racket is made from high modulus graphite. 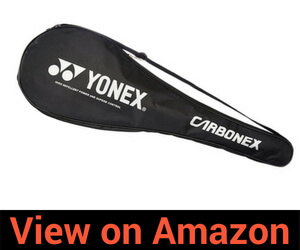 The Yonex Carbonex 8000 Plus has been equipped with Carbon-nanotube. The shaft is also made of carbon for excellent repulsion. The synthetic grip material provides you better grip. 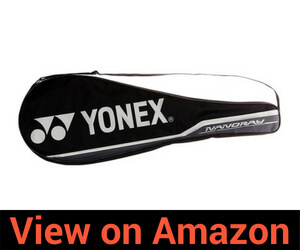 This racket is one of the best for beginners and intermediate players. But it is a little heavy, so it will take time for you to get used to it. 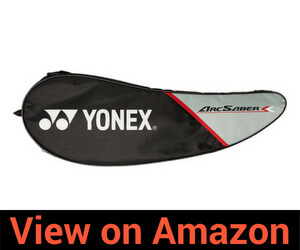 The Yonex Muscle Power is manufactured to reach the maximum repulsion levels. The strings are located on the rounded archways. This helps in eliminating the fatigue and stress-load using the contact friction. The grip gives you a tighter contact with the racket. Thus, providing you to play better shots. 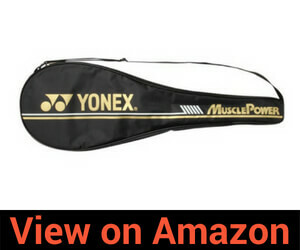 Yonex Muscle Power 22 Plus is of the Muscle Power series rackets. This one ensures the higher repulsion for a better game. The shaft is made up of high modulus graphite that ensures stability in your shots. The frame is made from Titanium. Thus, it ensures reduction of air resistance and high repulsion levels. It has an isometric head shaped design that widens the spot area. The Arcsaber FD is a totally new addition to the Yonex’s badminton series. The Arcsaber’s frame is made in such a way that it can flex the shuttle. Thus, it can hold the shuttle on the strings for a longer time. In this way you deliver some great shots. 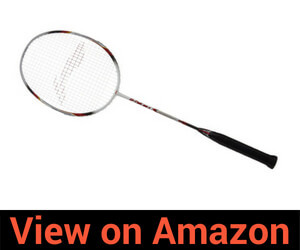 With this racket, players feel accurate control and more power. 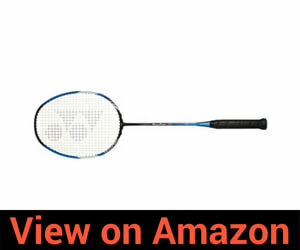 This light in weight racket is a perfect combination for all kinds of players. The Yonex Nanoray 7000i is designed with standard specification. 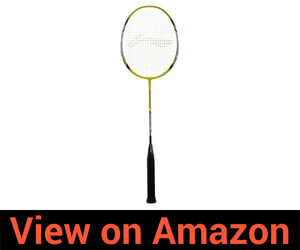 It is a kind of good (not awesome) badminton racket for beginners as well as intermediate players. The graphite build gives you a pretty nice grip when you hold the racket. In short, this one is not a choice for professional and advanced players. From one of the leading barns in the badminton industry, the Li-Ning G Tek 60 is a pretty decent choice for beginners. If you have just started playing, then this would be a perfect choice for you. As it weighs around 83 grams, it will take a little time for you to get used to it. 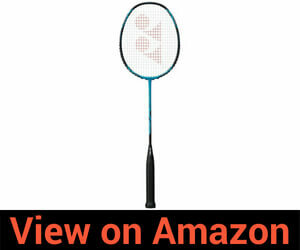 Among the best badminton rackets list this is only racket that is ideal for beginners. Phew… That was a long list of some best badminton rackets that you can buy. I hope that it had helped you and now you have a perfect choice for your game. Do let us know in the comment section below which one did you choose? Also, in case we have missed your favorite racket, comment down below. We’ll try to include that is the list. Until then, stay tuned for more awesome content like this.